A couple of weeks ago one of our friends managed to shatter his leg jumping off a wall. This weekend just gone we went up to visit, and I wanted to bake something suitably delicious to take his mind off things (this littleloaf isn’t really a bunch of grapes kind of girl). Sugar is a good remedy for trauma – hot sweet tea always seems to be offered up to people in shock – so maybe it was some kind of subconscious association which directed me to this restorative, tooth-itchingly sweet recipe. That, or the fact that the ‘short’ from which ”shortbread’ takes its name has been used to describe a ‘friable, brittle, crumbling texture’ since medieval times . . .
Millionaire’s shortbread may not be to everyone’s taste. It’s a pimped up, super-sweet, wickedly indulgent take on the Scottish classic that really needs to be consumed in small doses if you want to avoid major feelings of guilt and sugar-induced heart palpitations. Think Twix bar, but on a much more epic scale; crumbly shortbread covered in sweet fudgey caramel, all topped off with a blanket of chocolate that snaps and cracks as you sink your teeth into the layers. My version is adapted from a Gizzy Erskine recipe. She suggests sprinkling the caramel with maldon sea salt, which immediately caught my eye and is a wonderful addition (I love a salty-sweet dessert – Salty Snickers macarons recipe here). The salty flakes cut through the sugary layer to provide a more mature depth of flavour, resulting in an altogether less cloying treat (although don’t get me wrong, it’s still pretty sugary). Her version also infuses the caramel with rosemary which I imagine tastes delicious, but on this occasion I wanted something a little more straightforward. The recipe below is so simple. Once you’ve made it once you may want to play around a bit. Alter the ratio of shortbread/caramel/chocolate slightly to suit your tastes, drizzle some white chocolate across the top before it sets, stir some chopped nuts or chocolate chips into the caramel or try new infusions. I’d like to try the rosemary version out, but I also reckon lavender could work well. So, here it is. Enjoy. (Broken leg not compulsory). Pre-heat the oven to 170°C/Gas Mark 3. Grease and line a 23cm square tin. Put the flour and sugar into a bowl and rub in 200g of the butter – this become sandy, eventually forming a malleable dough. Press this sandy shortbread dough into the tin and smooth it flat with your hands. Prick with a fork and bake for five minutes, then lower the oven temperature to 150°C/Gas Mark 2 and cook for a further 30 minutes, or until pale golden. Remove from the oven and let it cool in the tin. In the meantime, melt the remaining 115g butter in a pan over a low heat for two to three minutes, then add the condensed milk and golden syrup. Beat the mixture well until the butter is thoroughly incorporated. Bring it to a slow simmer then, keeping the temperature even, cook for 10 minutes, stirring continuously, until thickened and light golden-brown in colour (this mixture can burn very easily, so keep stirring and don’t leave the pan unattended). Once you have a thick caramel, remove from the heat and pour evenly over the cooled shortbread base. Sprinkle with the salt crystals and leave to set. Break the chocolate into pieces and melt in a bain marie. Leave to cool for five minutes, then pour evenly over the caramel and shortbread base. Leave to cool in the fridge for one hour. Once set, cut the caramel shortbread into 16 or 20 squares, depending on how greedy you’re feeling. To help achieve perfect smooth edges (I slightly hacked at mine in my eagerness to try a square), dip your knife in boiling water so it glides through the layers of caramel and chocolate. 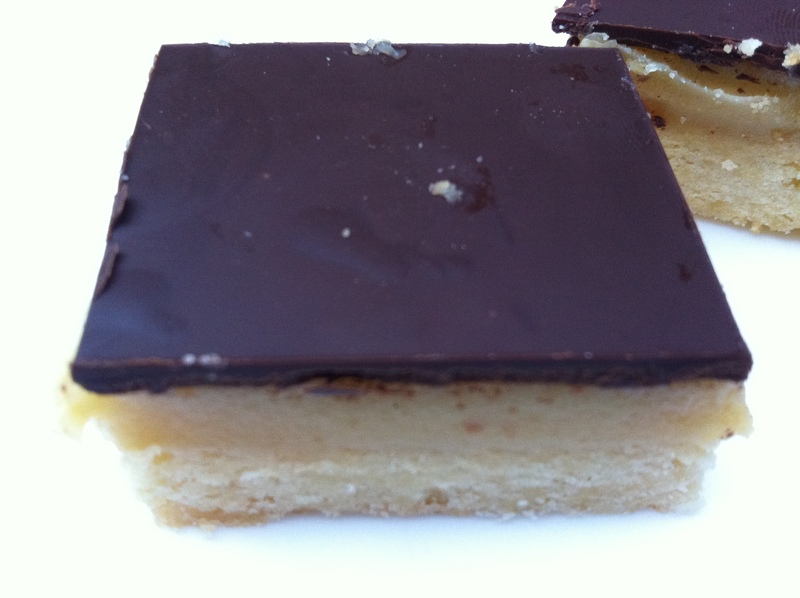 Who could possibly not like millionaires shortbread? It’s a gift from God! If I was ill, this is what I’d want to eat. Im totally addicted to the salty/sweet thing. Ok this is my favourite biscuit type thing ever. I never thought it could be improved. This sounds amazing. I love Millionaires shortbread! 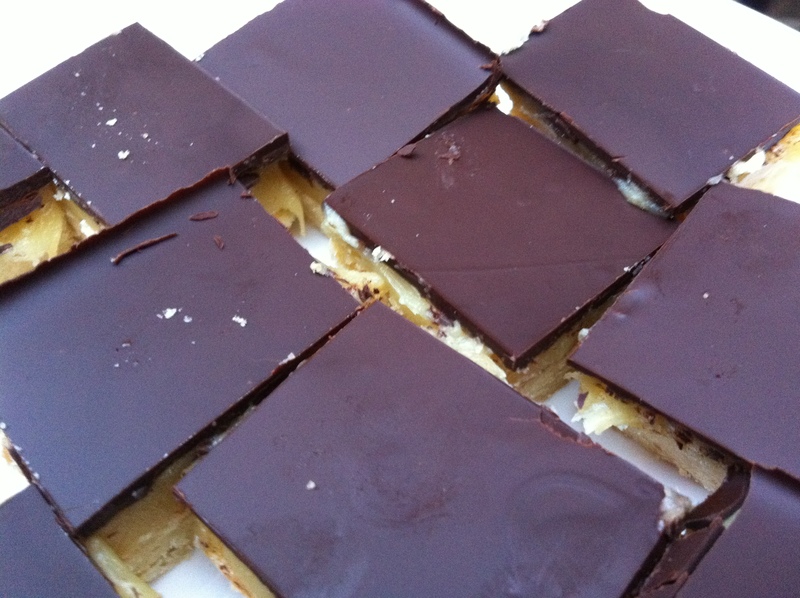 Australians call it caramel slice – whatever you call it, it is delicious…. Looks good- especially the salt as I think this might balance it. I had one on the weekend that was nice that included coconut in the base- the base was less shortbready though. I also had one that used oats in the base- that was less nice! Will give this receipe a go though! Ruthie – baked goods always cheer me up when I’m ill! All that I’m eating – the salt crystals are awesome. 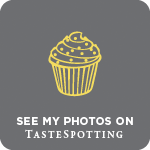 Gourmet Chick – I’ll take it as caramel slice too! My friend lives in Sydney and just bought me an awesome looking book for my birthday by the Bourke Street Bakery in Surrey Hills – have you heard of it? Looks amazing! Any left over? I have some leftover chicken scraps, skin, bone etc. I could trade in? This looks wonderfullll, just like the flourless cake you posted ive been wanting to try millionaires shortbread for a while but there are so many slightly different variations i wasnt sure which to choose. I like the look of the ratios in yours though so will definitely be at least referring back to this in the future 🙂 gorgeously perfect treats!